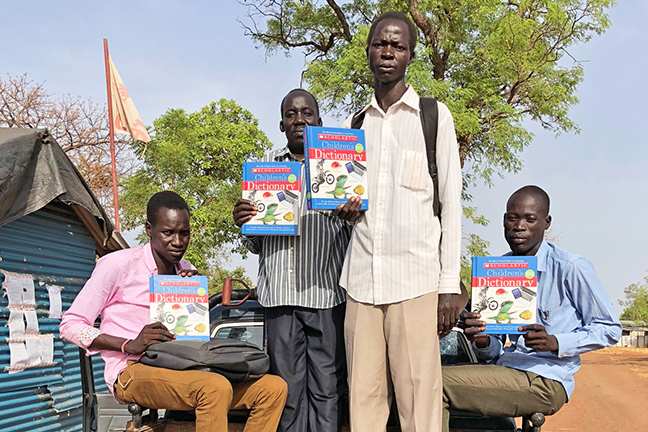 On July 2, 2008, former Lost Boy of Sudan James Manyror opened Gumriak Orphanage in a heartfelt effort to serve orphans from the Second Sudanese Civil War. Gumriak (which translates as "for those who survived disaster") opened with 89 day students and 16 residents. The orphanage evolved into a primary school with 400 students that serves as a model for Ruweng State, South Sudan. Many good things have happened even in South Sudan's most challenging days. Gumriak School is often recognized as a role model by government and community leaders. In 2017, only one student did not pass the national exams administered to P8 (eighth graders). Thanks to donors, outstanding girl graduates attend the prestigious all-girls Loreto Secondary School on scholarship. Gumriak School's headmaster is enrolled in a nationally certified teacher training program. And plans are under development for adding secondary school classrooms next to the current primary school. Over the years, many supporters have stayed the course on this education journey with Gumriak. Please join in this important call for support of a school that is an inspiration for South Sudan and anyone who believes in the original dream of a former Lost Boy of Sudan to overcome war and build peace through education. All donations to this page are designated directly for Gumriak School.